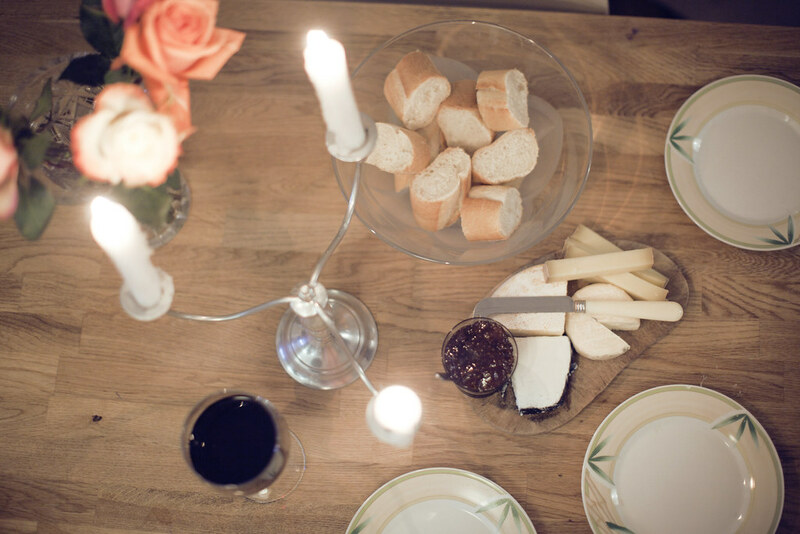 When I moved to Paris almost six years ago I was allured by the possibility of a simple life. Living in Southern California, or imagining settling in other places like London and New York City, always left me feeling in need of more, more, more. Paris was the opposite. I thought “here, if for the rest of my life I have nothing more than a room of my own in a beautiful old building and the charm of the city streets for free just below, then I’ll be satisfied.” I knew this to be true because I tasted this life for two weeks before moving here. I rented a studio apartment below the Luxembourg garden with my sister on a tiny street only one block long called rue Campagne-Première. The street itself seemed insignificant until I read Patti Smith’s ‘Just Kids‘ two summers ago in Spain with Audrey. Patti Smith and her own sister stayed at 9 rue Campagne-Première on their first trip to Paris, one of the most formative journeys in Patti’s creative life. What’s more is she chose it because Man Ray, Rimbaud, Verlaine, and Duchamp all resided on this same little street once as well. My heart lit up to discover such a parallel and coincidence. Our little room was up five flights of stairs with the window of the main room looking out over one of those beautiful churches, each extraordinary in their own right yet with names unknown to most because they are just one of hundreds in Paris. The experience altered the course of my life. I tasted what we call “la vie boheme” and knew it was for me. Today I have it, my modest little flat in Paris with no elevator up to the front door, no dishwasher or television inside. Plenty of tea to drink though, that some how all tastes better in this little place of my own. A change of scenery is always nice though. So I said yes to Habitat Parisien when they invited me to stay in their apartment, Coeur Vu, in Montmartre for a few days. The experience brought me back to our little room with a view on rue Campagne-Première. This time though the church out the window has a name that everybody knows, Le Sacre Coeur. I wasn’t sure my last experience with Habitat Parisien could be topped, but at Coeur Vu it was. 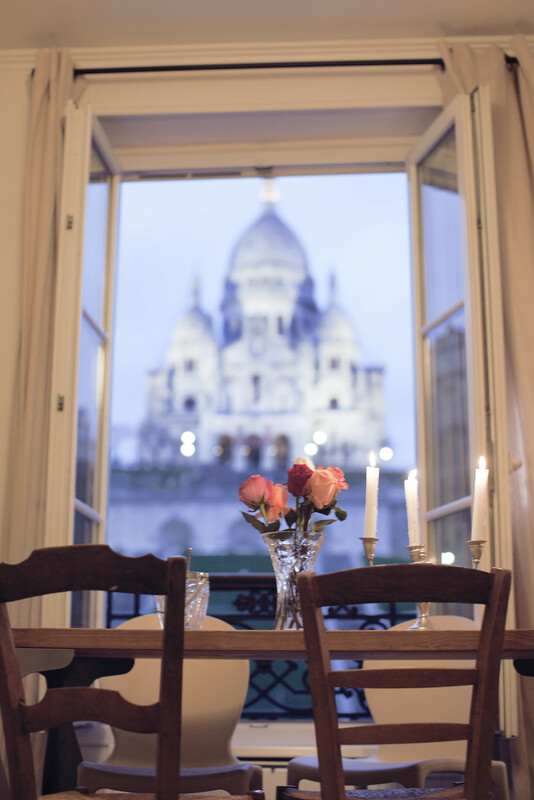 Just like the rest of their picturesque apartments located throughout Paris’s best neighborhoods, this charming flat can be rented by anyone looking for the perfect place to call home during their trip to Paris. The view could not be better. 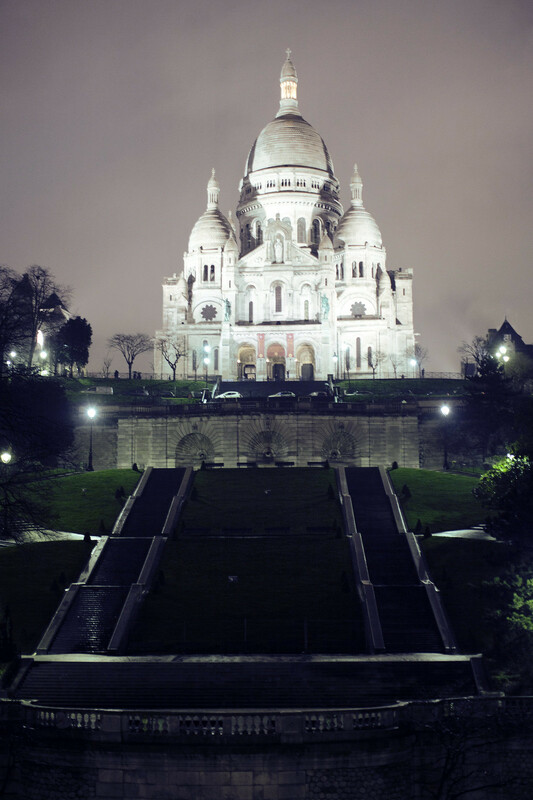 I can’t explain to you the majestic experience it is to go to bed at the foot of the Sacre Coeur with the church lit up like your very own night light. In the day you can enjoy the peaceful quite of the apartment and write at the table looking out upon this landmark for inspiration. The carousel below is so charming as well. The location is ideal for all those looking to experience la vie boheme. Montmartre is one of Paris’s most quaint and unique neighborhoods, with tiny cobblestone streets, hills, and sweeping views. It is known as being a haven for artists. The layout is spacious for a Parisian flat and is used well. It’s large enough for entertaining which I did while I was here, hosting a dinner party for my friends. The amenities in the apartment also covered everything I needed to entertain as well, from cooking to presentation with candle sticks, plenty of plates, crystal bowls, and more. The design of the apartment has all the traditional elements that I love about parisian flat, an old glass door, the ornate rod iron window railings, the old fireplace. 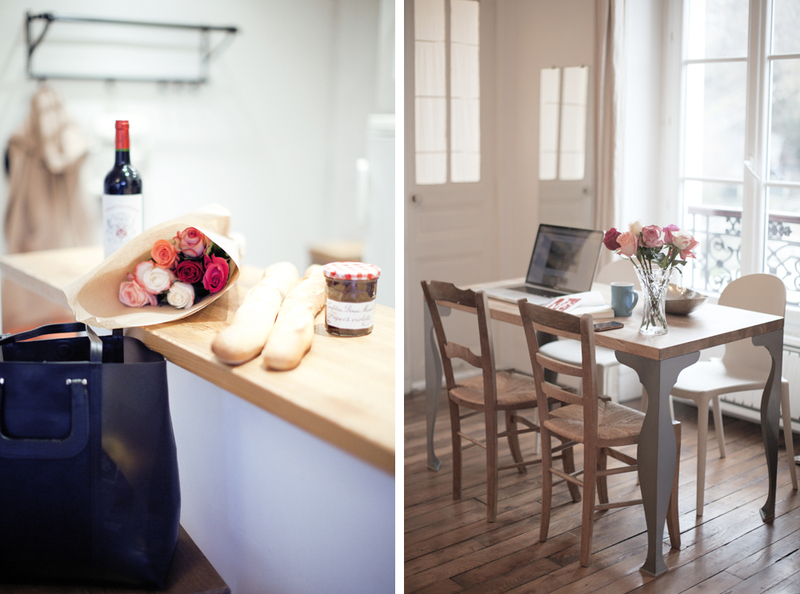 All things you would hope to see in a beautiful French flat. 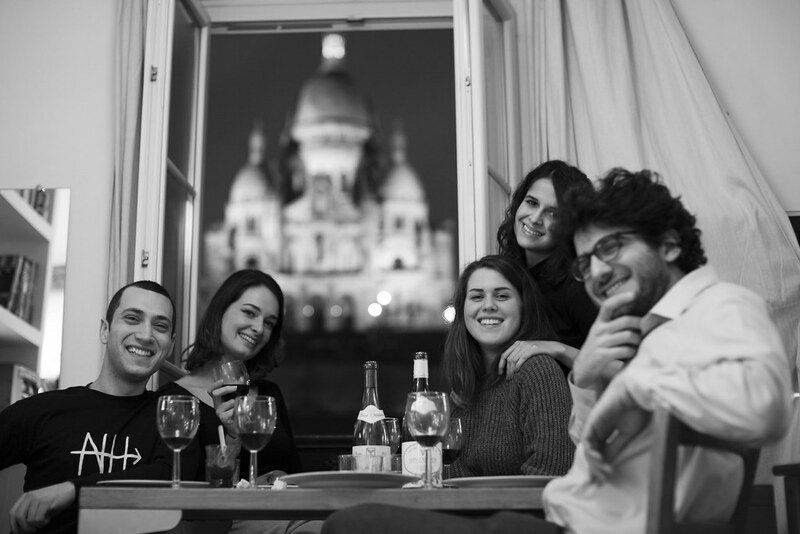 If you would like to stay at Coeur Vu or any other of Habitat Parisien’s apartments, please visit their website. If that’s what you think then you clearly have not read much of this blog and you are very welcome to never read it ever again. Cheers! Lovely post, Haleigh! Thanks so much for sharing. The top photo is like a dream! Those views are truly breathtaking. Keep on inspiring others and spreading the magic! You paint the most lovely picture of Paris. And the same street as Man Ray! You lucky girl ;). That truly looks like the epitome of a Parisian apartment! Will definitely looking in to Habitat Parisien if I ever go to Paris! aww I just saw your reply right now! I’m thrilled to hear that 🙂 thank you! Wow, this looks absolutely stunning. 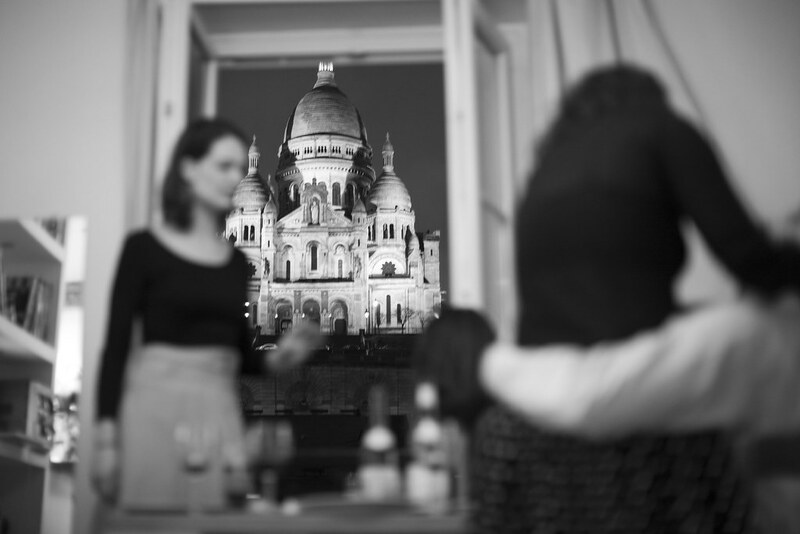 I’m just envisioning myself at your dinner party, the doors wide open, Sacre Coeur’s lights glistening in the background. Perfection. Robert, you are welcome at my dinner parties anytime! BEAUTIFUL new post haleigh! love all this light forever present in every aspect of your creativeness and I wish soon your name receives all the recognition it deserves for you are a great artist in every sense! that night was so magical. i’m looking forward to summer parisian nights! 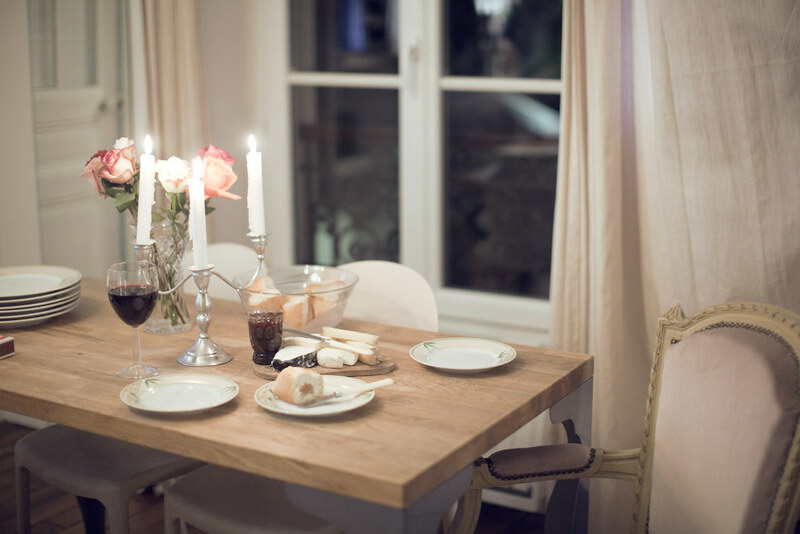 I love love love your pictures, it looks so homely! Need Paris now! I’ve actually stayed in the apartment above this one! Small world! Wow, the photos are amazing! I dream of very same thing. Nice little flat in an old building, with the beautiful view. Something old, something new..
Amazing! I could live there in a second. I love your nose! When did this get done 🙂 ? Hello dear Making Magique !!!! I just discover your blog through Miss Pandora, and I really like it ! you pictures are really lovely and sweet !! I love the dress that you’re wearing in this post, where is it from ? What a magical neighborhood! 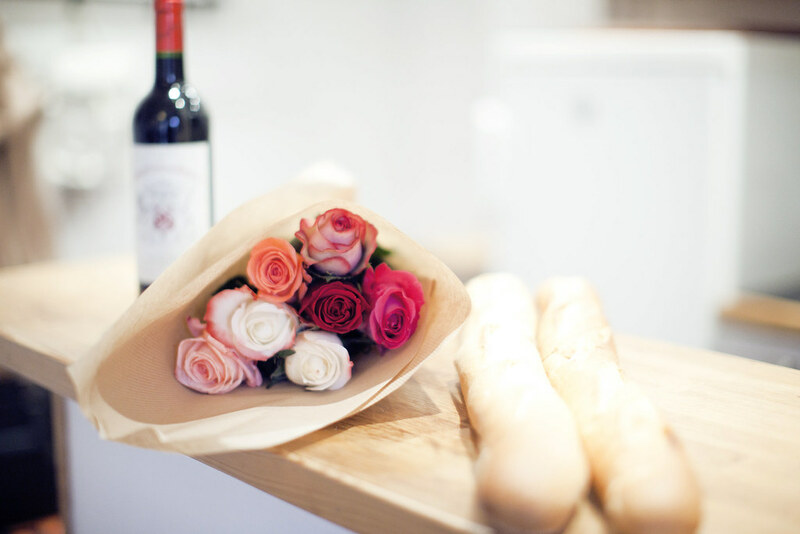 I feel as though you moved to Paris with no compromises and really got the best experience out of it.